Bring the outdoors in with incredible recipes for breads and rolls, soups and stews, main dishes and sides, as well as delicious desserts. Vernon Winterton has been cooking with Dutch ovens for thirty years. He is one of the founding members of the Greater Wasatch Dutch Oven Society and served two years as its assistant director. 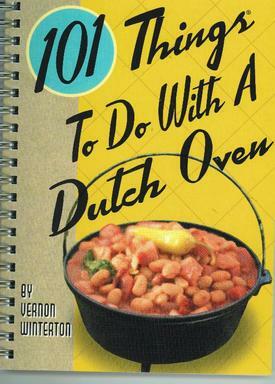 Vernon has competed in Dutch oven cook-offs for ten years, qualifying three times to go to the world championships. He and his wife, Barbara, also enjoy entering cook=offs on a local level as well. Spiralbound, c2006, 120 p. , 14 cm.